PayPal is preferred payment method. Email to sales@wa3rnc.com for other payment options. 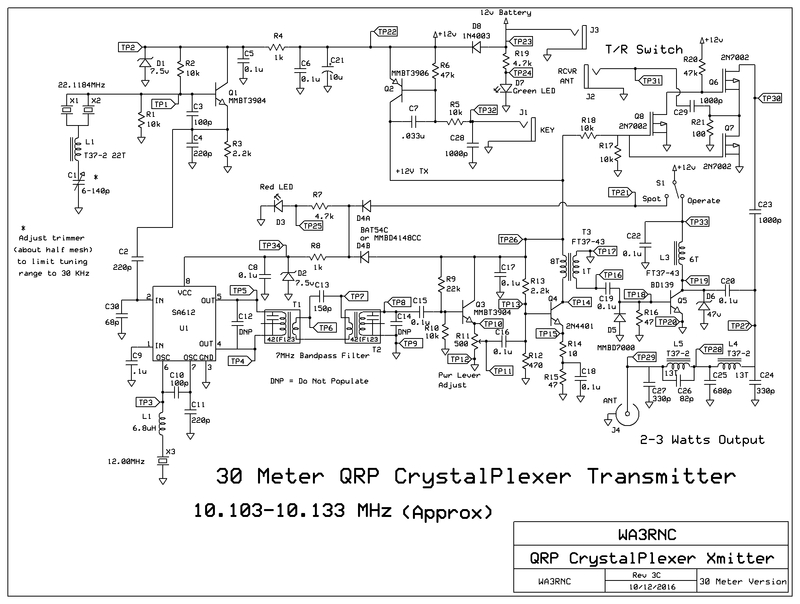 To access the schematic for the WA3RNC 30 Meter QRP CrystalPlexer Transmitter, please click here. You can access the assembly instructions by clicking this link. You're reviewing:WA3RNC 30 Meter Crystalplexer "Quick-Kit"